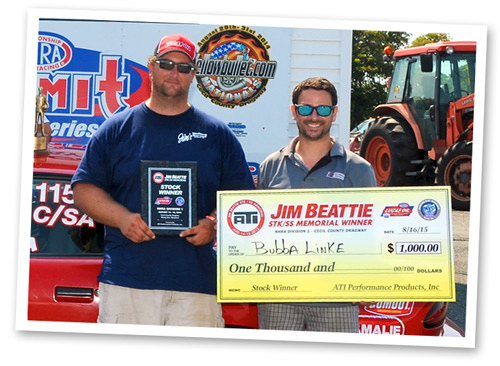 Baltimore, MD — ATI Performance Products, Inc. announces the 4th Annual “Jim Beattie Stock/Super Stock Memorial Race” to honor its founder, James Beattie, Sr.
Jim was an avid race fan, inventor and mechanical genius. 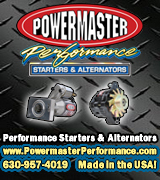 After proudly serving in the US Navy, Jim opened a modest general transmission rebuilding business which has grown into one of the most dominant high-performance manufacturers in the industry. Because of Jim’s passion, drive and innovative knowledge, ATI produces some of the finest race transmissions, torque converters, harmonic balancers and high-performance components in the world. He is missed by many, and could never have dreamed that 57 years later his legacy of building the best products in the high performance industry would live on with the family business. This year's “Jim Beattie Stock / Super Stock Memorial Race” will be held during the NHRA Division 1 Pennsylvania Dutch Classic at Maple Grove Raceway on September 27-30, 2018. 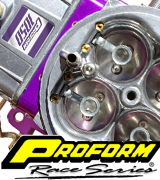 Open to racers in Stock and Super Stock, ATI Performance Products will award $1000 to the Winner -or- highest finisher with an automatic transmission package in each class. Should an automatic car not Win or R/U, the highest finishing racer with an automatic and the decal will win the award. The award is not contingent on the use of ATI product but racers must display the 2018 Jim Beattie Memorial Decal on each side of their car throughout the entire event. 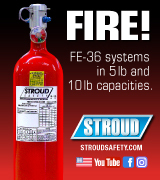 All other contingency requirements will apply per NHRA and ATI guidelines. Decals will be available during tech at the event. The winners of the “Jim Beattie Stock / Super Stock Memorial Race” are eligible for ATI’s standard Div 1 Contingency, Bonus Div 1 payment, and the $1,000 bonus. If you meet the normal contingency requirements, win the race, and the bonus, you are taking home $1,600 each for Stock and Super Stock from ATI alone! Don’t forget about the“ATI Young Gun Award”. Maple Grove presents this award each year at the Dutch Classic. It will be awarded to the youngest, and highest finishing racer in Stock or Super Stock Drivers must be between 16 and 25 to be eligible for the “ATI Young Gun Award” The winning driver will receive a trophy made by S&W and a check for $250.00. Lucas Oil Drag Racing Series at Numidia Dragway, June 2018. 30th Annual Performance Racing Industry Show, December 2017. NHRA Dodge Nationals at Maple Grove Raceway, September, 2017. Lucas Oil Drag Racing Series at Englishtown, September 2017. NHRA D1 Bracket Finals at Numidia Dragway, September 2017. Mopars@Etown and The Digs, August 2017. 42 Annual Night of Thrills at Englishtown, July 2017. NHRA Summernationals at Englishtown, June 2017. Memorial Weekend Shootout at Numidia Dragway, Numidia Dragway, May 27th, 2017. More event coverage from 2017, 2016, 2015, 2014, 2013 and 2012 is on the Dragtime News On Location main page. 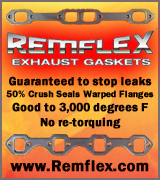 Visit the Tech, Tests & Installs main page. 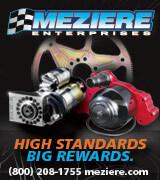 Visit the Bracket Racing 101 main page. SUBSCRIBE to The Dragtime News mailing list and be notified when new items are published!